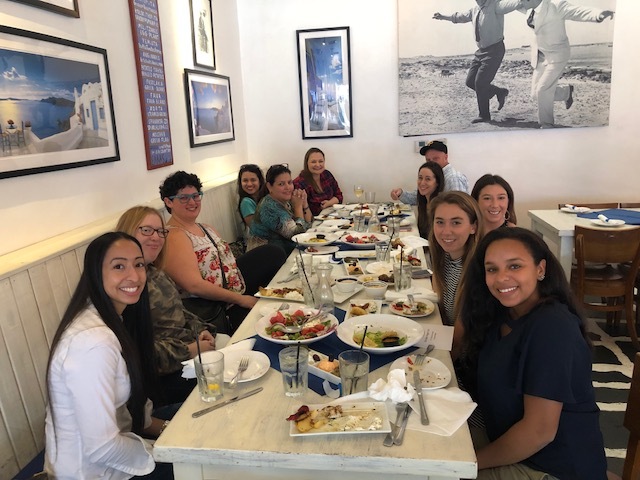 On Saturday, December 8th, 2018 The Palm Beach Bloggers Chapter of The Blogger Union had their first official meeting at Taverna Opa in Delray Beach. We can’t tell you how exciting it is to join The Blogger Union and connect with so many amazing bloggers. We loved getting to know some local bloggers and enjoying yummy food too. There were so many new faces, and the excitement was contagious. From people interested in starting to blog all the way to people who do it as their full time profession. It was awesome to see the natural Q&A’s start. We were also able to gauge what most of the attendees were interested in learning about and can focus our future meeting on meeting those creative needs. We can’t wait to see the growth in 2019 and are busy putting together future meet ups with expert speakers to help grow our community in Palm Beach County. Always looking for the next perfect photo spot! Taverna Opa was a gracious host and the perfect intimate venue.